Kids gift basket. 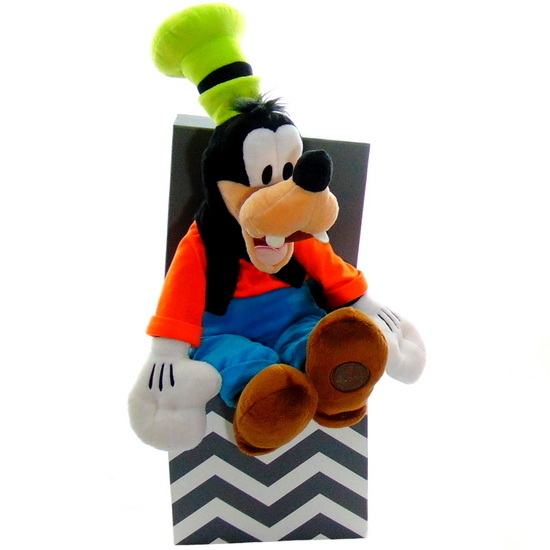 16-inch Disney goofy plush toy wearing a turtle neck and vest with pants, shoes, white gloves and a tall green hat siting inside a white and gray wavy pattern gift box. 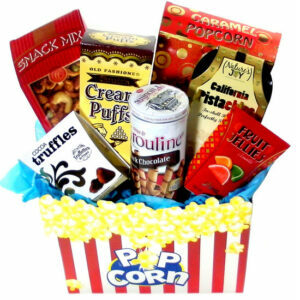 Kids Gift Basket. Gift Box Contains: White & gray wavy pattern gift box. Disney Goofy Plush toy 19 inch. 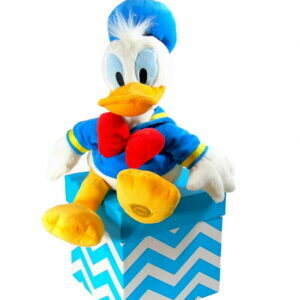 Gift box is ideal for child Get Well, Birthday, also add on gift for a newborn older sibling.